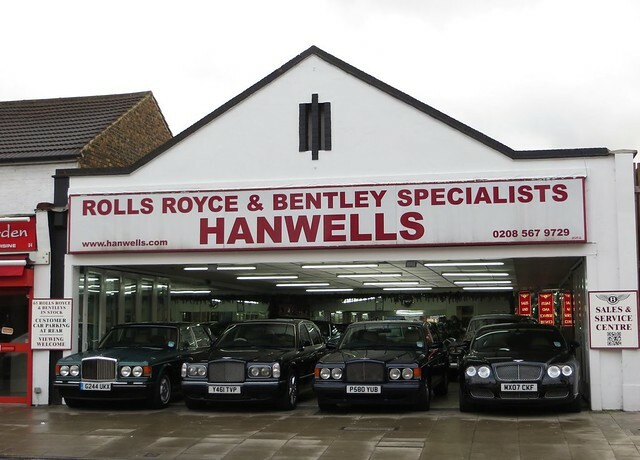 For as long as I can remember, this showroom has been selling secondhand luxury cars on the Uxbridge Road in Hanwell. [Update] A recent revelation via the Twitter account @EalingCinema is that the building was once a cinema called the Coronation Hall Picture Palace, a rather grandiose name, I feel. 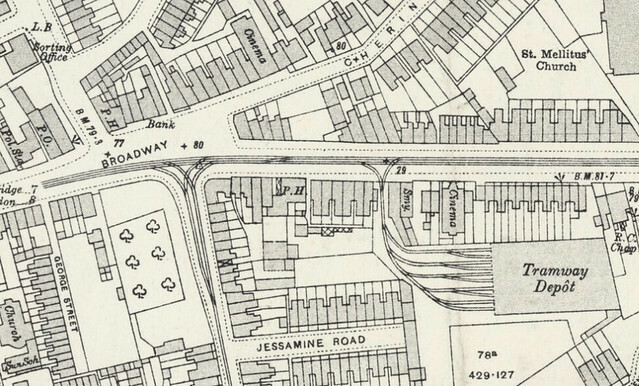 Here it is on a map from 1914, and you can also see the Grand Electric Theatre (latterly the Tudor) on Cherington Road. I have also found the listings for them in Kelly's Directory of Middlesex, 1914. They also have more showroom space on the other side of the Uxbridge Rd becuase one luxury car showroom is not enough for the rich folk of Hanwell! What do you mean by your comment is awaiting moderation? ?